Oliver’s Mount has undergone an ACU safety inspection with only a few modifications needed for the opening meeting in July. Circuit chiefs Eddie Roberts and Mick Grant, and Shaun Dalton, Chairman of the One Nine Four Six Marshals Association and General Secretary of the Two Four Three Road Racing Association, welcomed a visit by ACU officials at Oliver’s Mount last week, in order to start the renovation process of Oliver’s Mount. Both parties spent the day at the iconic venue, the only English road racing circuit, discussing safety proposals for both riders and spectators. 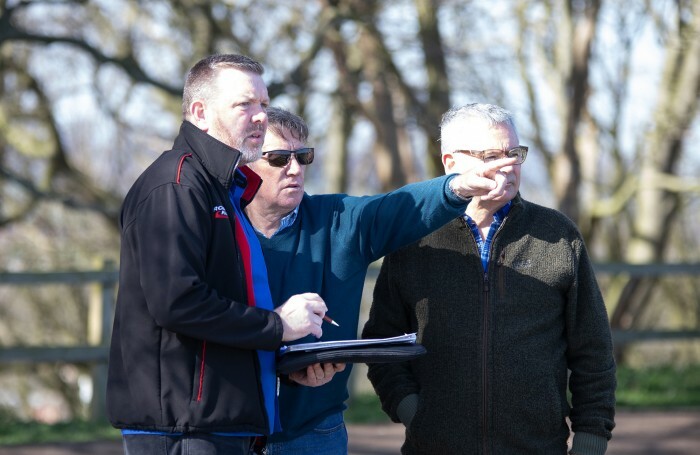 “It’s great to see road racing is going to return to Oliver’s Mount, such an traditional venue which has seen some iconic names race there both present and in the past,” said ACU general secretary Gary Thompson. The ACU are very supportive of this new venture and will support Mick and Eddie to ensure competitive road racing continues in the safest manner possible. Dates for the popular meetings were confirmed March, with the Barry Sheene Classic set to celebrate the return of racing to the Course on 27th and 28th July, followed by the always hotly contested Gold Cup in September. The Gold Cup, which has previously seen wins for Guy Martin, Dean Harrison, Grant, Geoff Duke, Barry Sheene, and David Jefferies, takes place from the 27th to the 29th of September. Fans will be pleased to see ticket prices have been slashed making a weekend at Oliver’s Mount, Scarborough even more tempting than before. Prices for both events are as follows: Saturday £20 Sunday £25 Weekend Ticket £40, Advance tickets are available from Duke on 01624 640024 or online here.